Not enough 500,000, nothing! Open a fund account, Xiaosan has no threshold investment board! After the Spring Festival, the entire capital market is expecting a big event:Kechuang board will be opened soon. From the task put forward on November 5 last year to the full set of documents of the Kechuang board officially launched in the early morning of March 2, only 116 days before and after, the speed and efficiency are amazing! Kechuang board is known as the Chinese version of "Nasdaq"But the opening threshold of 500,000 people makes the shy little people in the bag discouraged. Is there any way to indirectly invest in the science and technology stocks?" 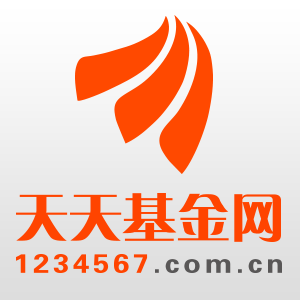 As of 18:21 on March 22, the Shanghai Stock Exchange disclosed 9 first batch of science and technology board acceptance enterprises, namely Jingchen Semiconductor, Ruichuang Weiner, Tiannai Technology, Jiangsu Beiren, Liyuanheng, Ningbo Rongbai, Hejian Chip, Anzhen Technology, Wuhan Keqian Biological. In the investment bank involved, exceptGuotai JunanIn addition, Minsheng Securities,CITIC SecuritieswithChina Merchants SecuritiesBoth sponsored two "first batch" companies, in additionChangjiang Securities,Soochow SecuritiesEach sponsored one. The answer is yes! There is! There is! 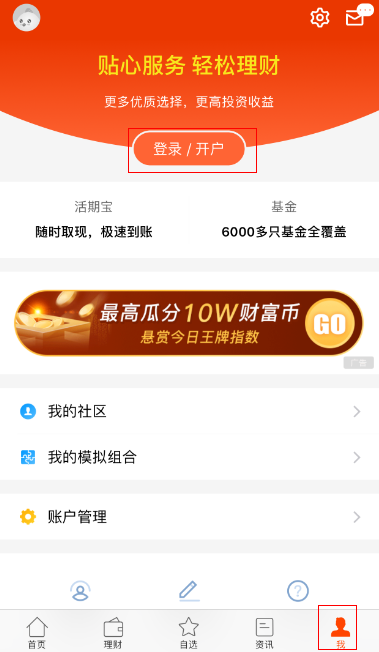 Xiao San can buy throughfundLet the fund manager help you to work for the "Nuggets" section, you only need to download the Tiantian Fund App and open a fund account. 1. What kind of companies are there in the science and technology board? Kechuang board mainly supports the listing of some technology-innovative enterprises, enabling China's Shuangchuang technology and new economic enterprises to be listed and developed in the domestic capital market. 2. What is the difference between the GEM and the Science and Technology Board? 3. Is the investment threshold of Science and Technology Board high? The account opening requirements of Kechuang board: The assets in the securities account and fund account of the first 20 trading days are not less than RMB 500,000 per day, and there are 2 years of experience in securities trading. 4. How does Xiaosan participate in the investment in science and technology? According to the “Measures for the Implementation of Stock Issuance and Underwriting of the Stock Exchange of Shanghai Stock Exchange”, the offline investors who participated in the inquiry were identified as “securities companies, fund management companies, trust companies, finance companies,InsuranceCompanies, qualified foreign institutional investors and private equity fund managers and other professional institutional investors." This means that individual investors are not involved in the science and technology networkHit new. Galaxy SecuritiesFund researchThe center expects that the number of funds in the future will reach 250. Fund managers and researchers are in full swingResearchRelated technology companies, the old fund also reserved ample "ammunition", only to be ordered to enter the market. Then through the fund investment science and technology board is undoubtedly a shortcut! How to open a fund account? Then follow the steps "fill in personal information", "associationbankCard, you can complete the account. If you do not understand, you can call the customer service hotline 021-95021. 5What funds are available for retail investors to choose? The Shanghai Stock Exchange said that the existing public funds that can invest in A shares can invest in the board of stocks, and the total size of equity funds plus other types of funds that can invest in stocks is about 4 trillion! In other words, about 4 trillion of established public funds can buy stocks directly from Science and Technology. The six strategic placement funds issued in the previous period can also participate in the strategic placement of the shares of Science and Technology. These funds have been established with a yield of 2.91%-5.41%. Currently, most of the funds are allocated bonds. The impact of stocks on net worth is no more than 3%.Chinese people's insuranceStrategic placement. Currentlyfund companyThe layout of the science and technology board fund is also a race against time. A number of fund companies intensively reported to the Science and Technology Board Fund. These funds may invest in Kechuang Board in a manner that participates in primary market placements or secondary market purchases. 6Why is it that public funds are a good choice? Second: the public investment fund professional investment research team can help individual investors to screen high-quality enterprises and increase the probability of profit. After reading the above introduction, is there a new understanding of the investment board? What are you waiting for? 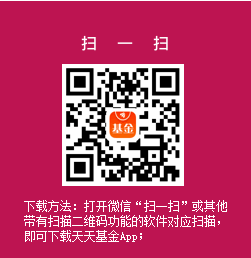 Come and open a daily fund account and embrace the Chinese version of Nasdaq! The second batch of science and technology board accepts the enterprise's full perspective. The six companies' gross profit margin exceeded 50% last year. The three major stock indexes of A shares fell collectively. The strong industrial cannabis concept stocks led the decline. Exposure! The stock ETF that broke the red last year was actually a big buy and buy for these institutions regardless of the loss! ZTE, which has just suffered a huge loss of 7 billion, has even gone up! It turned out that there is such a big advantage. Yingda Securities Li Dazhao: Under 3000 points, there is a bear trap hidden! Shanghai index closed down nearly 1% and lost 3,000 points. Industrial cannabis concept stocks fell. Turkey's stock market once plummeted 7% overnight exchange rate soared to 1200% exchange rate plummeted! What is the impact on A shares? Dongfang Gangwan Bin: Shanghai stock index should be 3,500 points. Five major industries have investment opportunities. what's going on? Doubled the bull stocks and suddenly overturned more than 200 million shares to seal down the word limit, accounting for over 35% of the outstanding shares! These two days of loss have a dim sum. I ordered a cigarette, closed my eyes and sucked a few mouthfuls. Suddenly, my eyes suddenly rose by 10% tomorrow. The allocation focuses on low-value leading stocks. The current situation is cautious, and many fund managers are still looking for positive factors. This morning, the main capital flow of 170 million, ranking first. If the market can go bad, look at the performance on the 27th. Securities should be shot. It’s too embarrassing. I sold the rich country CSI 500 at 2019-03-27 01:45:17.